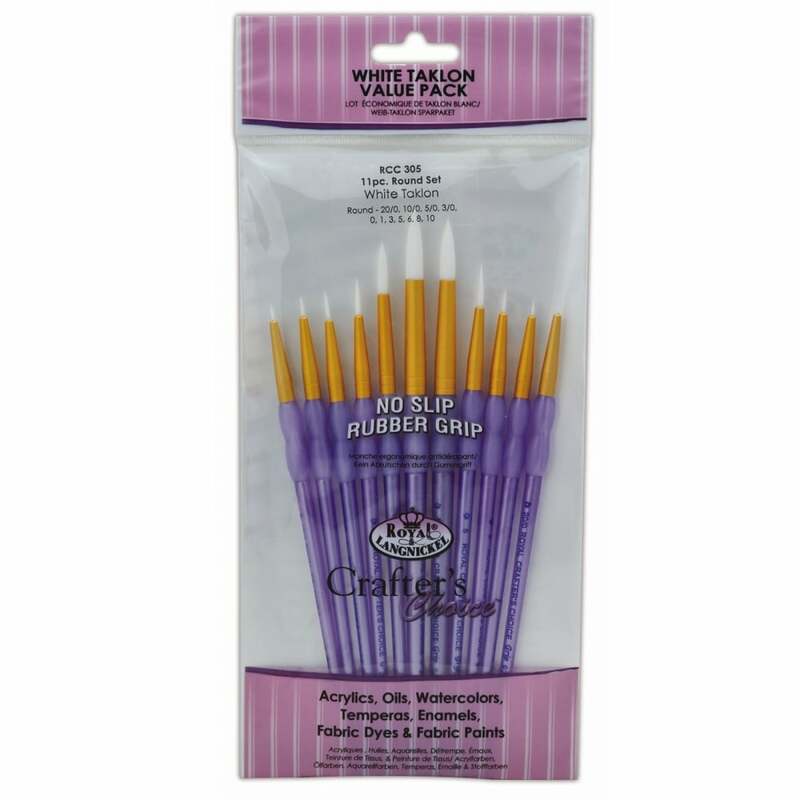 The Crafters Choice value brush pack consists of 11 rubber grip no slip brushes, the durable polymer handles feature a soft rubber grip for extra comfort while painting. The wide variety of sizes are ideal for detailed painting projects, the Royal & Langnickel Soft-Grip range is probably the best selling range of brushes they are widely used by beginners and students. These brushes can be use on a wide variety of paint mediums acrylics, oils, watercolours, enamels and fabric paint. Lovely brushes and very good value.